On 19 March 1861, the First Taranaki War, between the New Zealand government and the indigenous Maori, ended in a tense cease-fire. Some 2.4 square kilometres of land lay at the heart of the war. Ignoring a “solemn contract” by the local Maori not to sell, and rebuffing a similar order by a paramount Maori chief, minor Maori chief Te Atiawa iwi sold a parcel of land known as the Pekapeka block to the British. Knowing the full circumstances of the offer, including the Maoris attempts to stop the sale, British colonial administrator Governor Thomas Gore Browne accepted the purchase, a move that angered the Maori chiefs. When British surveyors were sent to survey and occupy the land, anticipating conflict, the Maoris threw them out. Furious, Governor Browne demanded an apology and swift removal from the land. The Maori refused. Instead, they built a defensive just inside the block of disputed land. Incensed and determined to impress British sovereignty upon the indigenous Maori, the British Army on New Zealand’s North Island prepared for war. On 17 March 1860, the British Army marched from New Plymouth to the Maori defensive of Pa at Te Kohia and opened fire, commencing the First Taranaki War. The war lasted one year, with early losses for the British troops, who quickly bolstered their thin forces with troops from Australia. Wielding firepower, including two 10-kilogram howitzers, the British engaged in a series of battles with the Maori, hoping to blitz their way into a decisive victory that would cripple the Maori and assert British sovereignty. Able warriors, the Maori had built an L-shaped pa, or defensive hill fort, covered trenches, and anti-artillery bunkers that, combined, resisted the British blitz. Through the Battles of Te Kohia, Waireka, and Puketakauere, the hostilities continued. Finally, after one long year of fighting, hundreds of casualties, economic hardship, environmental destruction, and growing doubt on both sides whether the war could be won, the First Taranaki War ended in an uneasy ceasefire on 19 March 1861. On the British side, some 238 of the army’s 3,500 troops had died. Maori casualties reached some 200, though the proportion of dead was much higher. Though the British claimed they had won the war, it was widely viewed as a humiliating defeat for the great colonial force whose aim was to crush and impose sovereignty over the Maori. Eventually, the uneasy truce would lead to the invasion of Waikato and subsequent Taranaki Wars. Today, the Taranaki Wars are viewed as a sad and exploitative chapter in New Zealand’s history. In 1996, a Waitangi Tribunal found that the war was started by the British colonial government, which was deemed an aggressor that launched an unlawful attack. Long after their homelands were confiscated, the Waikato Tainui people received a compensation of some $171 million NZD from the New Zealand government in 1995, along with the return of some land. The Secret Army Organization was founded in 1961 as a response to General De Gaulle’s speech on Algeria’s right to self determination. It was formed by a group of pied noirs that called themselves “counter-terrorists” and had carried out attacks against the F.L.N since early in the war. 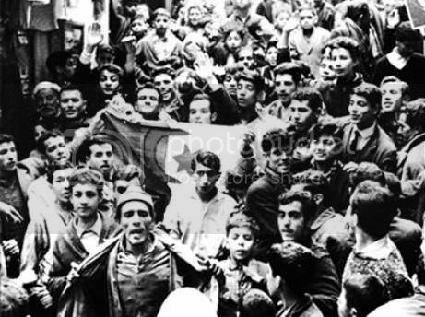 By acts of sabotage and assassination in France and French Algerian territories, the O.A.S attempted to prevent Algerian Independence. On September 1961 the O.A.S attempted to assassinate De Gaulle but failed. Despite the O.A.S attempts to stall and prevent Independence, Evian peace talks were held on March 7th between the F.L.N’s provisional government and De Gualle. The Evian Agreement was signed on March 18, 1962, and a cease fire was called on the 19th . 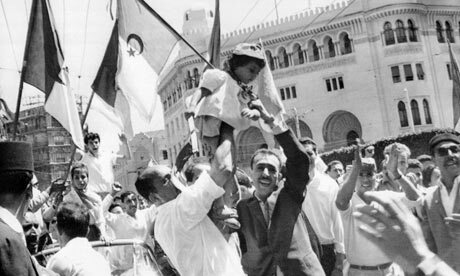 It was also agreed Algeria would be able to vote for its future Independence on 1st of July. Now desperate on saving “French Algeria”, the O.A.S reacted more violently than ever. The three months between the cease fire and the day of Independence the O.A.S unleashed a series of attacks. Their hope was that these attacks would to force the F.L.N to abandon cease fire therefore revoking any agreement between the F.L.N and the French government. In April they raided Muslim hospitals in Algiers, killing ten patients in their beds and wounding seven others. On the 3rd of May they filled a truck with explosives and killed 62 Muslims and wounded 110. On May 10th thirty Muslim women were killed in the streets of Oran and Algiers. Other actions included blowing up part of the library of the University of Algiers and the assassination of a famous Berber writer. Despite the O.A.S’s violent provocations, the F.L.N did not retaliate and kept the cease fire agreement. In June 1962 a cease fire was agreed between the O.A.S and the F.L.N. The Sydney Harbour Bridge is opened to traffic. The Song Dynasty in China comes to an end. Argentinian forces land on South Georgia Island, starting the Falklands War with the United Kingdom. A cosmic burst, named as GRB 080319B, is the farthest object visible to the naked eye is briefly observed.